PhotoIreland Festival 2013 – 1/31 July – Dublin, Limerick & Cork. Image: Paul Gaffney, from the series ‘We Make the Path by Walking’, 2012. Celebrating its fourth edition, PhotoIreland Festival will examine the current state of Photography in Ireland, offering a simultaneous exhibition of new talent in Dublin, Cork, and Limerick. In the last decade, the currency and relevance of the medium on the island has consistently generated a flourishing of awards, residencies, educational programmes, publications and exhibitions. More than ever, the work of Irish based photographers can be seen in museums and galleries as far away as Australia, Argentina, and China. The main exhibition of PhotoIreland Festival 2013 will reflect on the diversity of practices that constitute contemporary Photography in Ireland, and it will be accompanied by a special publication. Official festival launch: Limerick 3 July, Dublin 4 July, and Cork 5 July. With the support of Occupy Space and Ormston House in Limerick, and TACTIC in Cork. PhotoIreland Festival’s portfolio review weekend will take place on 11-14 July 2013 in Dublin city, representing a unique opportunity for emerging artists worldwide to highlight new photographic projects and meet with international professionals to further their careers. Portfolio 13 is open to all photographers worldwide, working on any theme. Andy Adams, Flak Photo, Wisconsin, USA. Calin Kruse, Founder and Director, Dienacht Magazine, Leipzig, Germany. Dieter Neubert, Director, International Photobook Festival, Kassel, Germany. Irène Attinger, Library Curator, Maison Européenne de la Photographie, Paris, France. John Duncan, Co-editor, Source Photographic Review, Belfast, Northern Ireland. Jörg M. Colberg, writer, photographer, and educator, Conscientious, MA, USA. Karen McQuaid, Curator, The Photographers Gallery, London, UK. Katja Stuke & Oliver Sieber, Böhm/Kobayashi, Düsseldorf, Germany. Markus Schaden, Publisher, Schaden.com, Cologne, Germany. Olivier Laurent, News and Online Editor, The British Journal of Photography, London, UK. Pádraig Spillane and Pamela Condell, Curators Stag & Deer, Cork, Ireland. Rui Prata, Founder, Encontros da Imagem Festival, Braga, Portugal. Susan Zadeh, Founder and Director, Eyemazing, Amsterdam, Netherlands. Stefano Stoll, Director, Festival IMAGES, Vevey, Switzerland. Yasmina Reggad, Director and Founder, Photo-Festivals, London, UK. The reviewers will select an overall winner, who will be offered a solo show in PhotoIreland Festival 2014. 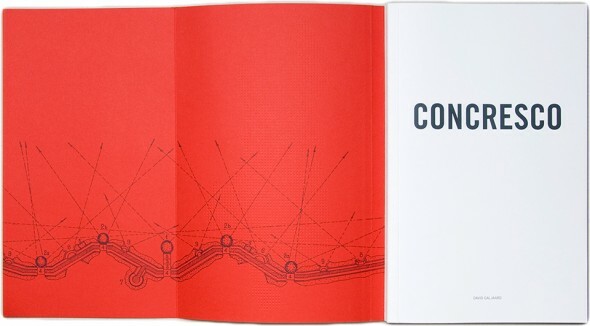 In July 2012, the reviewers selected David Galjaard’s Concresco as the overall winner of Portfolio 12. For more information visit the Portfolio 13 page. The Copper House Gallery, Dublin. Fearing an attack from abroad, Albanian Stalinist leader Enver Hoxha had around 750,000 aboveground bunkers built during his time in power, from 1945 until his death in 1985. After the collapse of communism in 1991, the virtually indestructible bunkers were deprived of their unfulfilled purpose, serving purely as an obtrusive reminder of a dictatorship that had had lasted for almost fifty years. Today their massed presence seems mainly to impress foreigners, while Albanians themselves prefer to look to the future. Although accession to the EU is expected to take at least another ten years, the population has a sense of being ready for it. In this documentary, the bunkers are used as a visual metaphor in the telling of a larger social story. They help to paint a picture of developments in a country that was the last in Europe to renounce communism and has set out on a demanding quest to become part of the capitalist West. PhotoIreland Festival 2013 will bring to Dublin an exhibition of David Galjaard’s ‘Concresco’, winner of Portfolio 12 last year, and The Paris Photo–Aperture Foundation PhotoBook Award 2012. 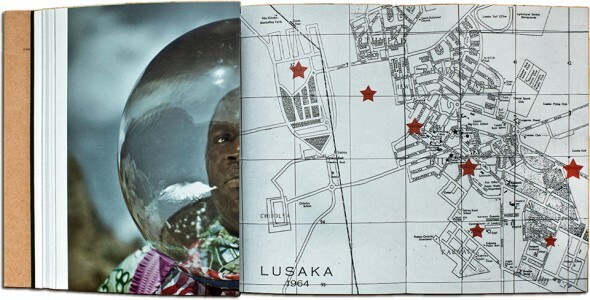 Cristina de Middel, The Afronauts. In 1964, after gaining independence, Zambia started a space programme led by Edward Makuka Nkoloso, sole member of the unheard of National Academy of Science, Space Research and Philosophy. The programme, whose aim was to send the first African astronauts to Mars, was soon cancelled, becoming no more than an amusing anecdote in the country’s history. In ‘The Afronauts’ De Middel creates a subjective version of the story engaging with myths and truths. The now sold-out book is comprised of a series of constructed colour photographs, sequenced alongside drawings and reproductions of letters, resulting in a fictional portrait of a national dream. 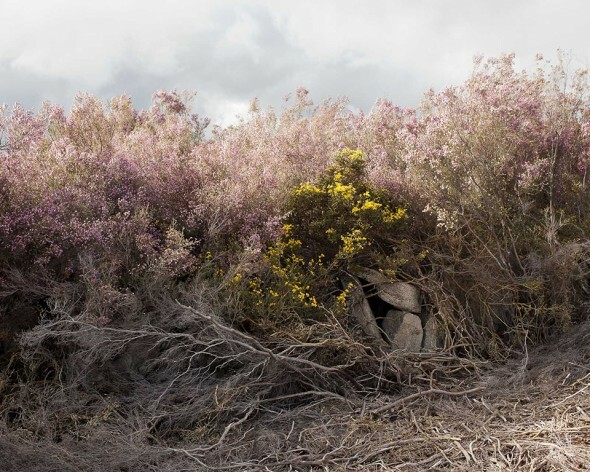 Cristina De Middel’s work, nominated for The Deutsche Börse Photography Prize, will be exhibited during PhotoIreland Festival 2013 at The Copper House Gallery. The third edition of the Book & Magazine Fair will bring to Ireland the latest local and international publications. Programmed parallel to the International Portfolio Reviews, it is the ideal space for networking with fellow professionals and discover new work. Visitors will also be able to enjoy The Library Project, with over 800 photobooks, magazines and zines free for everyone to browse. Publishers worldwide are invited to participate in the fair offering visitors their publications. This year, special attention will be given to the new electronic books, and as every year, to the photobook, magazines, fanzines, and the self-published. Publishers and Photographers are also welcome to actively participate in the programme of talks and workshops, and to contribute to The Library Project with their publications. 1/31 July – Dublin, Limerick & Cork. In 2013, the Summer Campus offers a great selection of workshops, talks and lectures for all audiences, with the participation of key international figures such as Jörg M. Colberg, Cristina de Middel, Andy Adams, and David Galjaard. 64 Lower Mount Street, Dublin 2, Ireland.